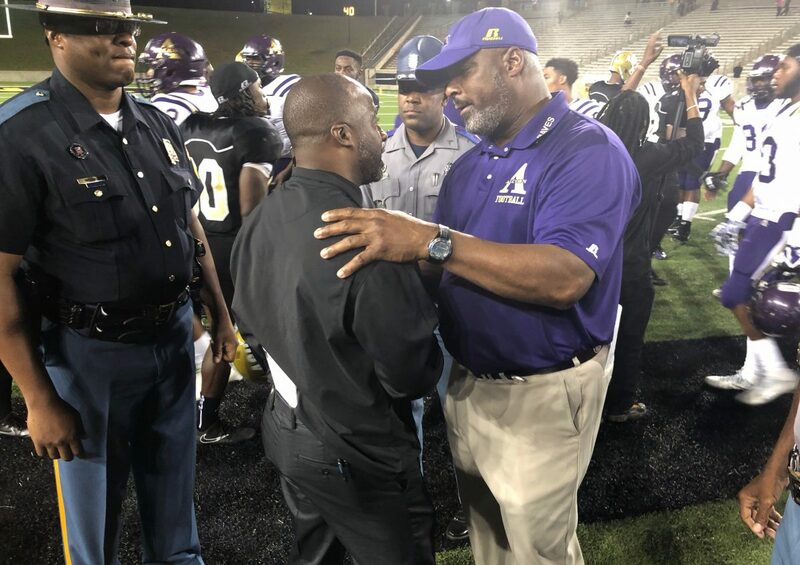 LeNorris Footman, De’Lance Turner and Alcorn State bullied their way to a win over SWAC East rival Alabama State on Thursday night. Alcorn State didn’t exactly put together four quarters of solid football, but it turns out two great quarters was plenty to beat Alabam State on Thursday night. Alcorn State used its big-play running game early and often en route to a 24-10 win over Alabama State. Quarterback LeNorris Footman finished with three total touchdowns, including two with his feet, to help his team improve to 2-0 in SWAC play. He finished with 282 total yards, including 122 of them on the ground. Footman broke out for a 50-yard touchdown score on his team’s first drive and then connected with receiver Norlando Veals for a 21-yard score early in the second quarter. He completed his scoring trifecta with an eight-yard scramble that gave his team a 24-0 lead heading into halftime. The Braves dominated in all facets of the game in the first half, finishing with 330 yards of total offense while holding the Hornets to just 10. That would be all the scoring they would do all night, but it turned out to be more than enough. Alabama State did manage to avoid the shutout in the third quarter as Ezra Gray broke off a 52-yard score and a Hunter Hanson Field goal made it a two-score game but neither team would put any more points on the board. De’Lance Turner finished with a game-high 169 yards on the ground and Veals racked up 97 yards receiving. Alcorn State improves to 4-2 while Alabama State falls to 0-5.